It is always advisable to get garage door repairs in Melbourne at the first sign of a problem with your garage door with any of its moving and non-moving parts. Because the garage door is one of the biggest and heaviest objects in your home, using it while it’s in a state of disrepair, can place your safety and security at risk. This is why it is very important to act quickly to avoid any accidents and prevent your garage door’s condition from getting worse. When getting repair services, see to it that you hire only the best repair company. This is to ensure that you will get your full money’s worth and repair results that will match or even exceed your expectations. Here are some tips to help you find the a repair company you can trust. To avoid being victimised by fly-by-night repair shops, make sure that the company you, hire has the necessary business licence to provide you with the services you require. Do the necessary research and make sure to check the company’s Australian Business Number and registration with the Australian Securities and Investment Commission before signing up for their services. You certainly don’t want to spend more money than you should on a garage door repair. Therefore, before you hire someone, you should consider determining the average cost of having your garage door fixed. Then, ask the company you’re considering hiring to provide you with an estimate so you’ll know if they are offering their services at a reasonable price and if you can afford them. Another important thing you must do is determine the repair company’s ability to provide you with the services you require. You can do this by checking out the company’s work history. Most garage door repair companies will be happy to provide would-be customers with the relevant information as it gives their prospects an idea of what they can do. However, be prepared to take your business elsewhere if you do encounter one that refuses to give you the info you need. Learning from the experience of others is a great way to determine if you’re hiring the right repair company. As such, take the time to read customer reviews and testimonials so you know what the repair company’s previous clients have to say about their services. 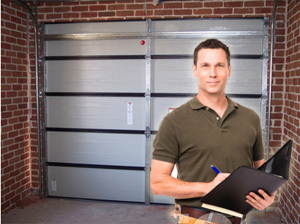 Are you looking for a reliable and dependable garage door service in Melbourne? If you are, we’re more than happy to help. We install, service, and repair garage door and are a supplier of garage door spare parts in the Melbourne. Contact us today.